There are so many layers to Country. River Red Gum is a visual depiction of those layers. A piece completed after doing a course on aboriginal spirituality with Dr Anne Patel Gray. When this was first exhibited A Aboriginal elder from a people who’s land covers the flinders ranges came up to me a said he knows that tree. This tree can be found by a walk thorough Sacred Canyon in the Flinders Ranges, South Australia. You climb out and on a bank in the middle with a creeek bed running either side is where this River Red Gum is to be found. Each layer in itself is beautiful & together is a rich beauty. This country has multiple layers of beauty. Scripture like our country has multiple layers With different ways of seeing. A Christian Aboriginal theology, enables another way of seeing. 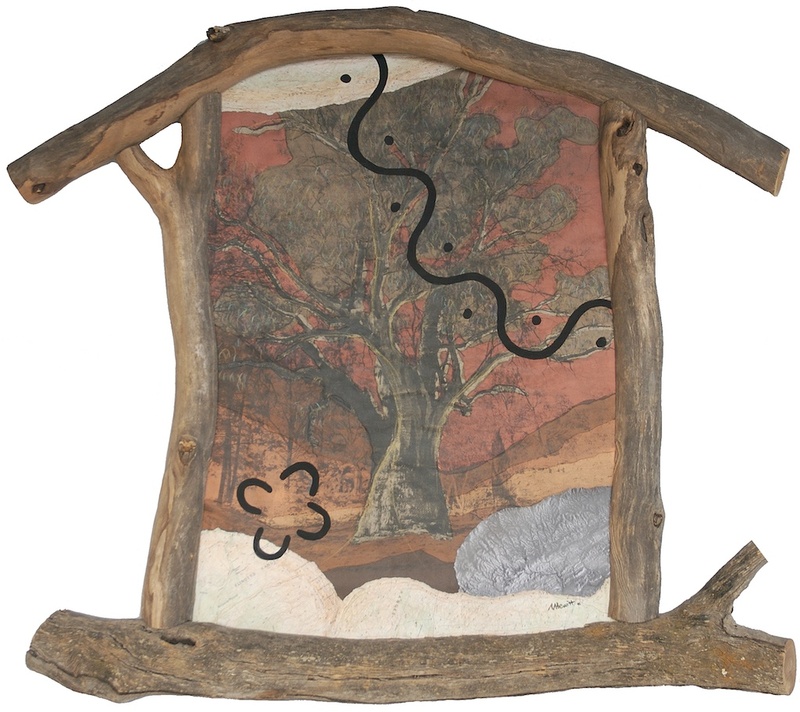 This entry was posted in Mixed Media and tagged Creation, outback, tree on December 1, 2011 by Mark.